The holiday season is a time for family, friends and loved ones. It’s a time where people get together to meet, talk, laugh and generally celebrate the season. A bit part of that celebration comes from the music we listen to. From timeless Christmas classics to the more modern adaptations, music has always been a big part of the holidays and will be for a long time to come. But how much of that near-ubiquitous Christmas music is in the public domain and how much is still earning their authors (or their estates) money? It’s a surprisingly tough question as much of the Christmas music we listen to is actually not anywhere near as old as we think. To illustrate that point, here are five tracks that are currently in the public domain and five songs that, as of right now, are not. Please bear in mind that this only pertains to the composition of the work and that various performances of it may still be protected. So, without any further ado, here’s the list of some of the surprises when it comes to Christmas copyright. “Deck the Halls” is a secular holiday song that originates from the 1800s. The meolody belongs Welsch composer Nos Galan. The lyrics, as they are sung today, are actually American in origin and date back to the 19th century. All in all, this song has been in the public domain for hundreds of years. “Frosty the Snowman” dates back to only 1950 and was the creation of songwriters Jack Nelson and Steve Rollins who, seeing the success of Rudolf the Red-Nosed Reindeer a year earlier (spoiler alert, Rudolf isn’t public domain either) and decided to take a stab at creating their own Christmas Carol. They succeeded and “Frosty the Snowman” remains one of the most popular and most-licensed holiday songs year after year. “Jingle Bells”, which was originally titled “One Horse Open Sleigh” was the work of author James Lord Pierpont in 1857. It was originally intended to be for a Thanksgiving event at a church in Savannah, GA but was so popular it was played at Christmas and grew to become one of the most popular Christmas carols of all time. However, it’s long-since fallen out of copyright and is available to be freely copied and performed. On the other hand, you better watch out, you better not cry, you better not pout I’m telling you why: “Santa Claus is Coming to Town” is under copyright and you might get sued! Kidding aside, the song was written in 1932 by John Frederick Coots and Haven Gillespies. The song was first performed by Eddie Cantor on his radio show, instantly making the song a huge success. However, even though it’s nearing the end of its copyright term, it hasn’t lapsed yet and is still vigorously protected. There seems to be a lot of debate about just how “Silent Night” was first written, however, most seem to agree that it was penned on or around 1818 in Austria. The original (German) lyrics were penned by Reverend Joseph Mohr and Franz Gruber penned the music. The song and it’s later English translations have long since lapsed into the public domain. “Have Yourself a Merry Little Christmas” was written in 1944 by composer Hugh Martin for the MGM movie “Meet me in St. Louis”. First sung by Judy Garland, the song became a hit. However, the original tone of the song was meant to be somber, sung by a destitute family as they’re being thrown out of their St. Louis home. Frank Sinatra further popularized the song in the 1950s, with some lyrical tweaks, further catapulting it in the limelight. Though “Toyland” is best known today for being in the 1961 Disney Musical “Babes in Toyland”, the song actually written for the original Operetta of the same name, which was written in 1903 by composer Victor Herbert. The lyrics were written by Glen MacDonough. Though many versions of the song are actually re-writes of the original, the one they date back to has long since lapsed into the public domain. “Little Drummer Boy” was written by Katherine K. Davis in 1941 though Henry Onorati and Harry Simeone are also often listed on the credits, though with some controversy in Simeone’s case. The song was based on an old Czech carol and was originally entitled “The Carol of the Drum”. The first people to perform the song were the Trapp Family Singers, who became famous as the subjects of “The Sound of Music”, even though their version of the song wasn’t very popular. However, Simone rearranged the song in 1958 and changed its title to the modern version, shooting it to success. Written as a poem by Episcopal clergyman Phillips Brooks in 1867, two years after he visited Bethlehem. The music was by Lewis Henry Redner from a song named “St. Louis”. Both the song and the music have long since lapsed into the public domain. “White Christmas” was originally written by composer Irving Berlin sometime between 1940 and 1942. Berlin, who was working on the movie “Holiday Inn”, had been tasked to write a song for every major U.S. holiday but Berlin, who was Jewish, struggled to write the one for Christmas. He eventually came up with White Christmas but almost didn’t present it. 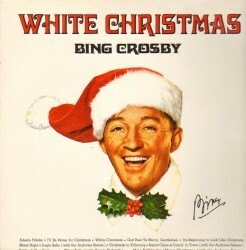 It was Bing Crosby who convinced him it was a “winner” and the song has gone on to be the biggest-selling single in history, with over 50 million copies sold. On that note, I want to wish everyone a happy holidays. Plagiarism Today is going to be taking some time off for the next week or so. However, I will be around many of those days handling consulting work and last minute details. I’ll also return next week to do my usual year-end wrap ups and other articles. In the meantime though, have a great, happy and safe holidays and I will see you guys shortly! Special Thanks: A special thanks to Rightsworkshop and Public Domain Info for their lists that help me get started on this post. Check them out for even more public domain/non-public domain Christmas songs.